12 LITRE BATHROOM WASTE BIN FOR CLASS AND HYGIENE IN THE BATHROOM. This small but perfectly formed sensor bin is an ideal size for a wide range of applications. Large enough to hold a fair amount of rubbish but compact enough to fit perfectly into a smaller space, it is a great compromise for smaller rooms or for use as a second bin. 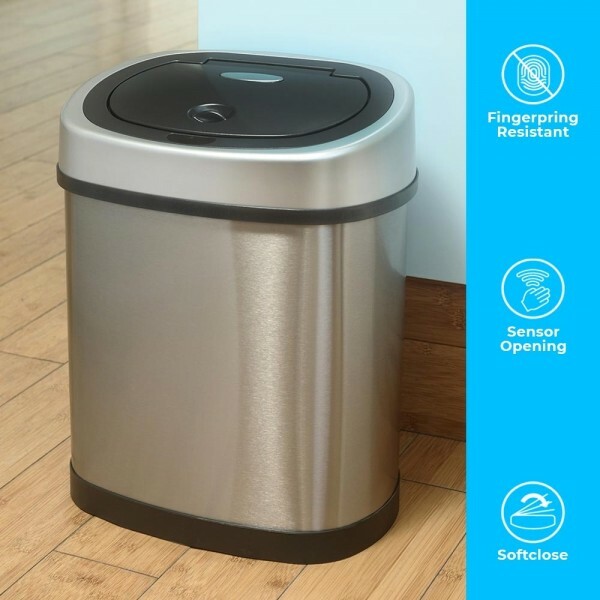 Even though this sensor bin is one of the smaller in the range, it makes full use of all the special features that make all our sensor bins a unique choice for the bedroom, bathroom waste bin, caravans & Mobile homes or even an small apartments. The sensor used in the 12 litre bathroom waste bin is the same technology that we use in all of our automatic bins – it is at the very cutting edge of technology, and uses infra-red motion to detect movement. This means that it reacts to your movement so when your hand moves in front of the sensor, the lid opens automatically. From the time you move your hand in front of the sensor (conveniently situated at the front of the bin) until it opens takes just half a second! 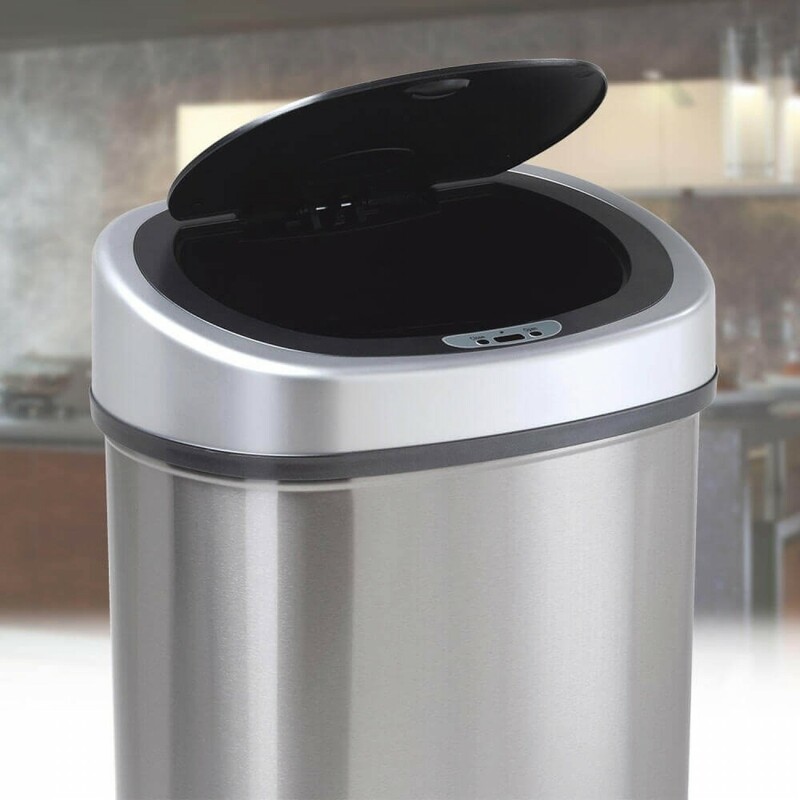 The bin stays open for 3 seconds, giving you ample time to dispose of whatever waste you want to get rid of in the bin. The oval shape bin is one of our most popular styles – it looks great, is bang on trend and it is easy to fit into any restricted space as is often the case in the bathroom. 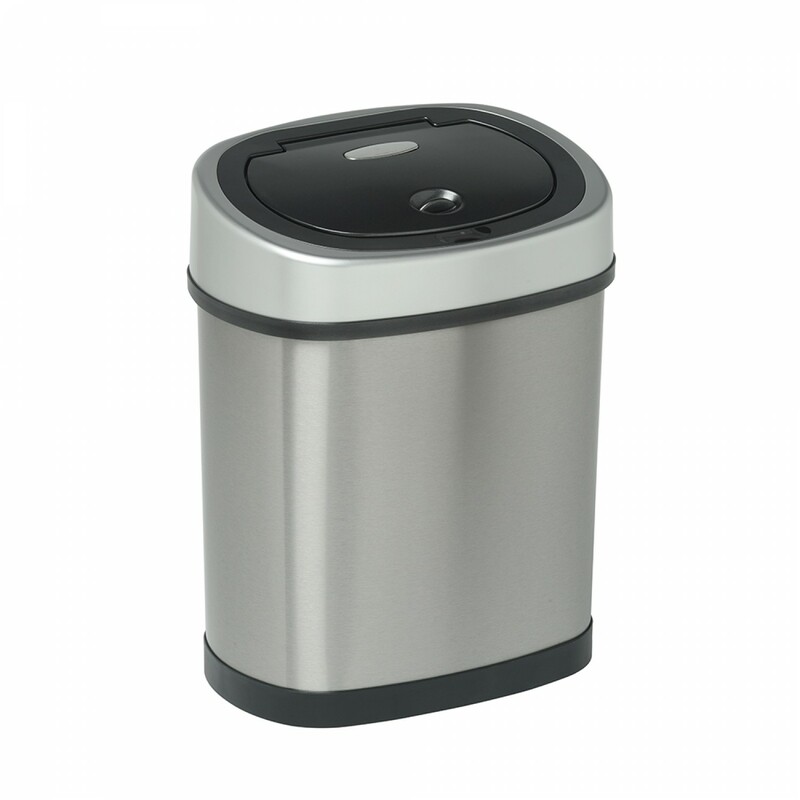 As with all of our fantastic sensor bin series, this 12 litre bathroom waste bin is formed from the very best high grade stainless steel and finished in a gorgeous brushed steel effect that looks modern, professional and clean. It resists fingerprints and is easy to clean, as is the lid and head of the bin. 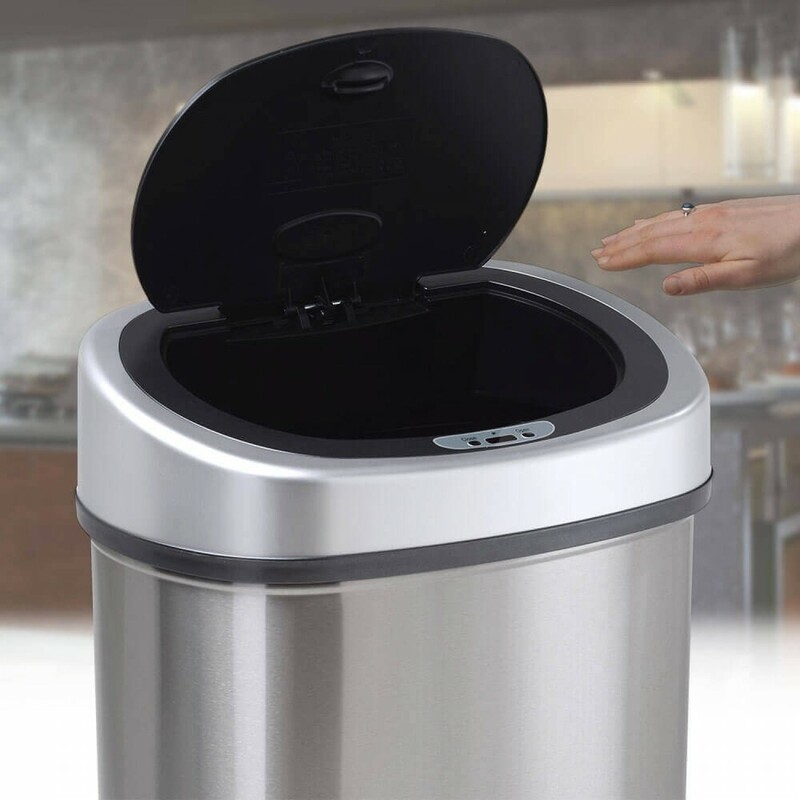 Everything about the auto bin is geared towards better hygiene and more convenience. From the fact that you don’t need to touch the bin, to the easy-care finish and the bag retaining ring. The bag retaining ring is a clever invention that enables you to secure the bin lining bag firmly so it doesn’t slip or fall into the bin. Many other types of bin rely on the bid to hold the bin liner in place. This can result in slipping and sliding and of course the moment you remove the lid, the bag sinks so you can end up with a very messy bin. No-one enjoy cleaning out a messy bin, and the bag retaining ring makes sure you don’t have to. It also tucks away any unsightly ends so the bin liner can’t be seen. So it works better, looks better and feels (and smells) cleaner and fresher. This bin is ideal for the modern home. It also works well in any hygiene sensitive setting such as doctors’ surgeries, schools and residential homes such as the need for a bathroom bin with lid, not to mention the benefits these bins can offer to the catering trade. Wherever you need a hygienic waste management option.